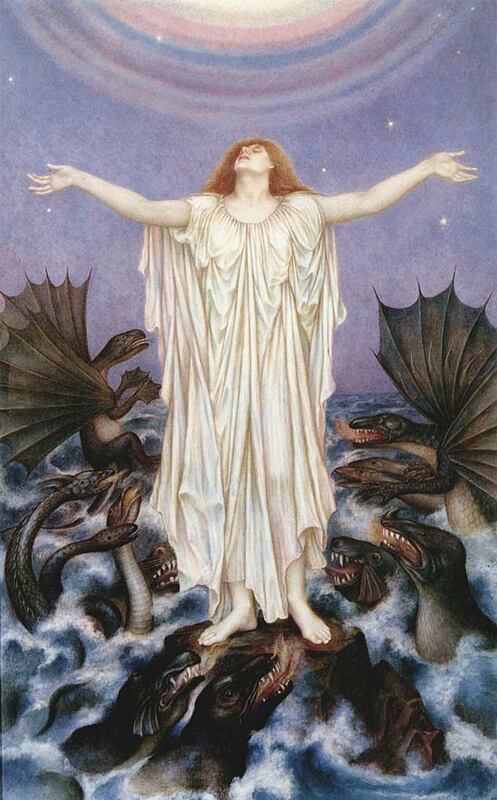 Save Our Souls (1914-16), by Evelyn de Morgan (1855-1919). Public domain image courtesy of WikiCommons. “Don’t search for the answers, which could not be given to you now, because you would not be able to live them. In times of marked uncertainty, change, and transformation, it’s wise counsel that tells us to learn to love the questions, or to live into the questions, lest we find ourselves bound tight by fear and a slew of unhelpful statements (which also — honest fact — put a serious cramp in our more creative, intuitive thinking channels!). Being patient, well that’s a different matter altogether! But inquiry? We can have some fun with that, and who knows: it might even help strengthen those patience-muscles. Confidences, 1869, by Sir Lawrence Alma Tadema. PD-US. 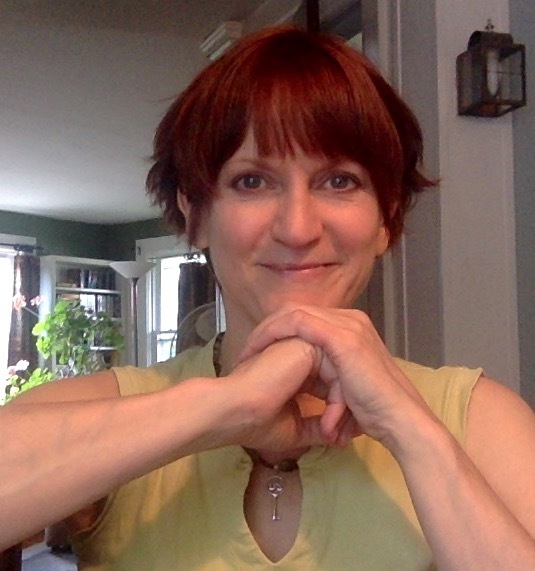 I’ve written about the power of questions and transformative inquiry many times over the years, both on Ivy Sea Online and here at Sophia’s Children. For many years, I’ve used inquiry and questions with clients, including a long stretch when I specialized in difficult, high-conflict communication scenarios and large-scale change projects. I’ve also practiced deeply with it myself, because it really does make a difference and open things up when they’ve become too narrow or fundamentalist. In fact, there’s a little personal joke that my first word was a question (why? followed by why not?). Even so, I’m always grateful for the reminder, because I often need the reminder — it’s super-easy in shaken-and-stirred times to fall back into the tiny boxes of definitive statements ending with a period, and there are times when I do that as easily as anyone. Going through life (and certainly facing challenges) with only the period at the end of a bunch of statements is more than just limiting — it has the potential to be strait-jacketing, creativity crushing, and soul-killing (not to mention the source of a whole lot of avoidable conflict!). Changing some (or more than a few) of those periods to question marks is like magic, though, in that it opens things up, stirs creative and intuitive thinking, creates spaciousness, and invites new possibility. I was going to go into the shocking statistics I came across recently, linked to marked rises in anxiety, depression, pharma use, and suicide, along with recent perspectives I came across about the disillusionment of many in our culture, but that deserves its own post. 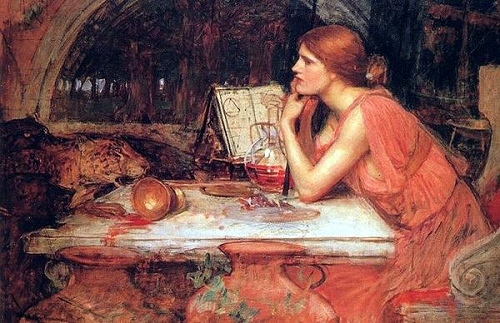 Circe, the Priestess, 1911, by John William Waterhouse. It’s linked, though, in my mind, to the power of inquiry, and definitely linked with the need to reclaim crucial lost ancestral wisdom and refresh our spiritual practices. Inquiry, questions, living into the question, creates an instant, if not always comfortable, shift … it’s like a key that opens the perceptual prison, or a force that dissolves those pigeon-hole walls. As Rilke advised the young poet, and each of us, in the face of uncertainty or hopelessness, even, ask the questions. Learn to love the questions. Live into the questions. Because it’s better any minute of any day than closing ourselves off into a deadening box, burying ourselves alive with assumptions and stale statements. There’s an art to the power of asking good questions, but that makes sense, doesn’t it? What other questions might really open things up and even invite fresh perspective, or even what seems magic or miracle? 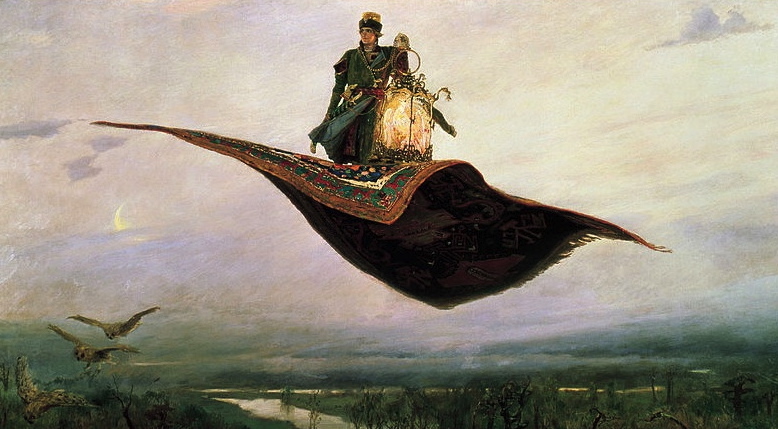 Magic Carpet Ride, by Viktor Vasnetsov (1848-1926). • Embracing Uncertainty and the Spirit of Creative Adventure. Current special offers for Coaching, Consultations, Readings & More. Who knows what creative responses, unexpected ideas, and new possibilities might be just behind the next question? We moon in Gems love love love our questions and my favorite one is Why? I found a new question from Cynthia Sue Lawson of Reality Shifters blog that I love to try on for size. How good can it get? I find this inquiry can dismantle stale thinking and old tapes and bring me to a new awareness. Yet this winter has been troubling for me. Still posts from friends like you do make a difference. can you tell me about access consciousness? I too love the questions, Jamie. Sometimes TOO MUCH. and LOVE the MYSTERY that is beyond all knowing. Great post, for it reminds us that pushing, shoving and fretting about answers only drives us farther away from them. a wo/man without faith/spirituality is like a compass without a needle. a lot of pointless direction going on. that leads to the anxiety, pills, malaise, depression, and suicide as an extreme. 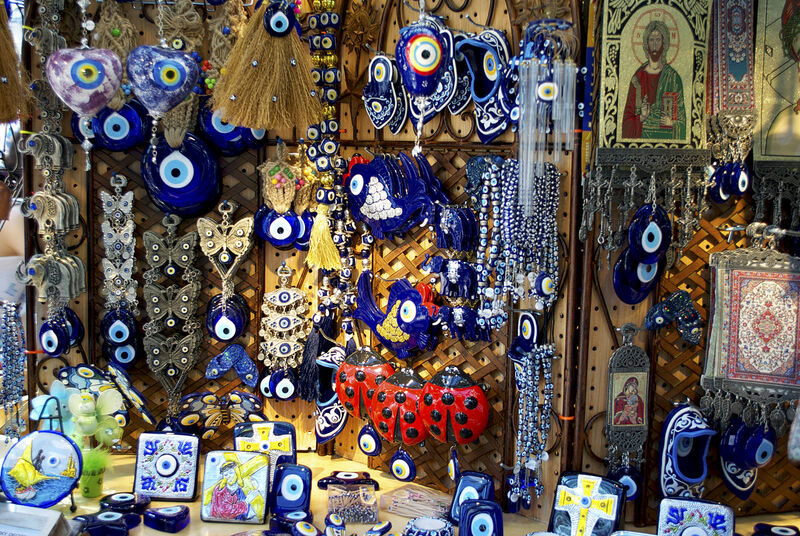 spiritual faith allows us to question our surroundings without dismissing them…. to enjoy the question and to live it, as well as ask it. thanks for sharing your words of wisdom. and your uplifting art pics. Thank you, Dynamic Duo. 😉 It’s so true, O and Om; I feel this way as well when I look out and see the discord and, as you said, the spinning needles on the compasses and the resulting angst, pills, malaise and so on. It tweaks the heart strings to be sure, and likely is an underlying purpose for sharing as we do … putting the words and wisdom and beautiful imagery ‘out there’ for passersby. xoxo O and Om. Always a pleasure when you stop by. 🙂 Jamie, L and B.C. I think many of us have been going through these changes recently.. I know I for one have been led yet again to look within and question my own state of BEing. and look deeper at the answers which come back. One thing I know Jamie, that we are often guided by meeting like-minded souls who share their inner journey .. Knowing we are not alone with our questions, and finding answers together, shows me we are all parts of our Hologramic selves as we mirror each other, as we find our missing pieces .. Many thanks for your post, I enjoyed reading and learning.